What Are the Advantages of a Pre-Engineered Building? You are here: Home / Blog / Roofing / What Are the Advantages of a Pre-Engineered Building? Pre-engineered steel buildings are structures that are designed to meet the needs of future owners. These buildings are created to meet a diverse range of structural modifications. The framework can later be customized depending on the design or requirements set by the eventual owners of the structure. Whether it’s for commercial or private use, pre-engineered buildings provide a lot of benefits to the owners. The construction of a large establishment is tedious. It requires a lot of time, money and effort. Engineers have to consider the design, the supply of materials, the actual masonry work and all the things that come in between. On the other hand, pre-engineered buildings are much easier to construct. In some cases, it only takes a few months before they are completely built. The reason behind this is in the dimensions. These buildings have ready-to-use construction diagrams with designated figures, pre-cut components and accurate estimates that can readily used to finish the project. With pre-engineered buildings, you can save time, manpower, resources and energy. In turn, you can significantly cut the expenses. One of the best assets of a pre-engineered building is their cost-effectiveness. Unlike other traditional buildings, this particular practice bypasses many parts of the process involved in the construction, such as setting up fencing equipment, the planning phase and inventorying of materials. Therefore, it eliminates some of the expense requirements in the planning and actual building construction. You can set your expectations higher when it comes to pre-engineered metal buildings. Due to the materials used during the framework construction, these types of buildings can last longer than other traditional buildings. They can endure different sorts of environment conditions. You name it: storms, hail, snow and strong winds. The structure can resist different elements that normal buildings couldn’t. Once the metal frameworks are installed perfectly, you can rest assured that it can maintain its durability and strength. You can save yourself from all of the pesky parts of the building process with pre-engineered steel building like red iron steel buildings. 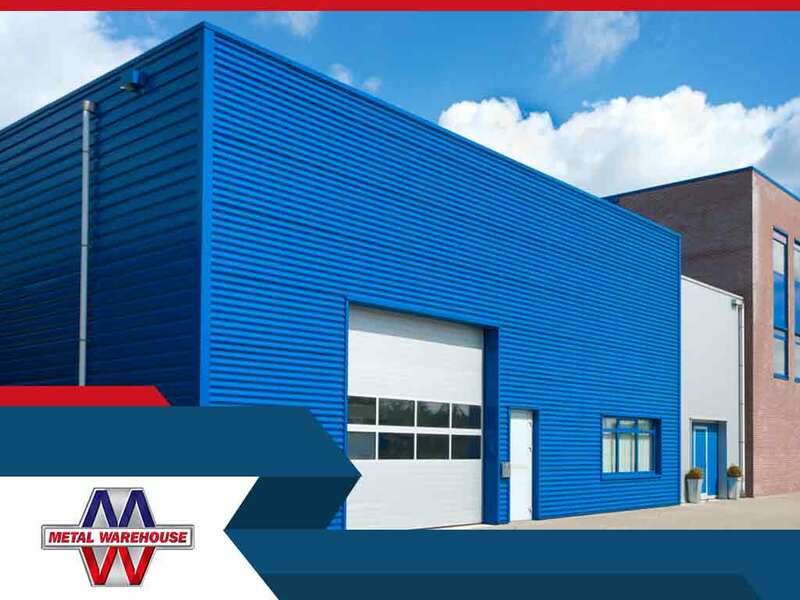 Metal Warehouse Inc. is here to provide for all your metal building needs. Contact us at (903) 771-2058, or submit an online request for your free estimate today. How Does Galvalume® and Galvanized Steel Differ? What Makes Steel a Good Building Material? Copyright © 2019 Metal Warehouse Inc.. All rights reserved.